It’s unclear what causes fatigue. New medical research suggests it may be linked to sleep disorders. Not getting enough sleep or not sleeping properly can lead to fatigue and excessive daytime sleepiness. PPMS is one of the four types of MS. It’s a progressive disease where symptoms, like fatigue and mobility issues, get worse over time. Although sleep disorders aren’t listed as the most common PPMS symptom, many people with MS have a higher chance of developing sleep disorders. The disability caused by PPMS can be further aggravated by the lack of proper sleep. Which sleep disorders affect people with MS? Restless legs syndrome (RLS) is a neurological disorder that causes the legs to need to move. This can be due to mild or extreme sensations in the legs, such as pulling and creeping, itching, and tingling. This condition is typically worse at night. It can severely disturb regular sleep patterns because those affected must move their legs often to stop the sensations. People with MS are three times more likely to be diagnosed with RLS. There also seems to be a link between how much disability MS has caused and how frequently RLS occurs. Damage to the spinal cord may cause both conditions to occur. Be active and stretch: Move around whenever and however possible. Break up sitting time: Make sure to take frequent breaks to get up and move around. Get a massage: Use gentle techniques to massage your legs throughout the day. Change the temperature: Some people with RLS find relief after a hot bath, while others report that ice packs help them alleviate symptoms. Think about vitamins/medications: Some cases of RLS are due to iron deficiency, so have your iron and other vitamin and mineral levels checked. If that doesn’t fix the issue, consult your doctor about taking RLS medications, such as pramipexole (Mirapex), rotigotine (Neupro), or ropinirole (Requip). Chronic insomnia is a sleep disorder that prevents people from falling or staying asleep. While all people have trouble sleeping once in awhile, those with PPMS often have to fight insomnia on a regular basis. 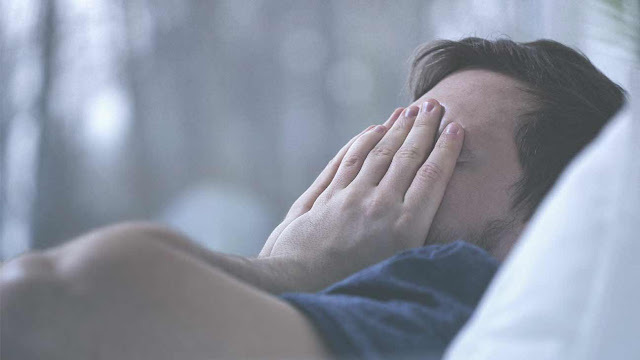 One study found that people with MS might feel fatigued because of sleep issues caused by circadian rhythm disturbances and unusual cycles of sleep. The circadian clock may not work properly in people with insomnia, much like in the brains of newborn babies, who want to sleep during the day and be up at night. It’s imperative to get a good night’s sleep to be rested and energetic the next morning. Since people with MS already fight fatigue, not sleeping at night can significantly raise fatigue levels. Make a bedtime ritual and set a night schedule to help your mind recognize when it’s time to go to sleep. For example, shower, put on your pajamas, brush your teeth, read a book, and turn off the lights. Keep a journal or talk with your spouse or a friend about your day to get everything off your chest and allow yourself to relax once you go to sleep. Avoid caffeine, exercising four to five hours before bed, and drinking alcohol. Use sleeping aids, such as sound machines, earplugs, dark curtains, and a sleep mask. If necessary, ask your doctor about insomnia medication, such as Trazodone (Oleptro), Zolpidem (Ambien), and Eszopiclone (Lunesta). Periodic limb movement disorder (PLMD) frequently affects people with MS. It causes the person to uncontrollably move or jerk their arms and legs while sleeping. Many patients with RLS also experience PLMD. This is often caused when the muscles tighten or flex, and cycles can last for up to an hour, multiple times per night. While some people don’t feel these movements, others wake up each time this happens. This leads to insomnia. While there’s no known cause for this condition, or RLS, some doctors believe that it may be due to dopamine levels. These are believed to control sleep cycles. Avoid caffeine in products such as tea, coffee, chocolate, and soda. Talk to your doctor about medications that may help. Clonazepam (Klonopin) works by stopping muscle contractions that cause this condition. It also acts as a sedative to help people sleep better. Pergolide (Permax) increases dopamine levels. Check your iron levels, as this condition can be caused by an iron deficiency.